Looking to buy OSB board from reliable suppliers? Here, at Theo’s Timber Ltd, we manufacture and supply this product is a range of sizes for various projects. Since 1963 when it was introduced, Oriented Strand Board has been used as a viable alternative to Plywood. It is most suitable for load-bearing functions during construction. The product is an engineered wood that contains wood strands held together by adhesives. During mixing, the strands are laid out in a particular orientation. The waterproof resin that is used for the bonding gives the material a durability that makes it ideal for high-quality constructions. It can withstand a significant amount of stress. 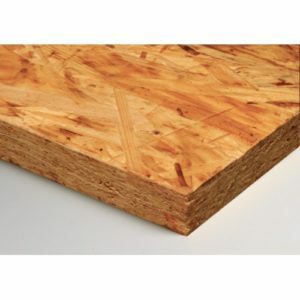 We have an extensive range of OSB board selections for all kind projects. OSB board has gained a larger market share than plywood over the years, which is why the material comes in various styles. Your requirements will determine which OSB sheets to get. Commonly, builders opt to use OSB as sheathing in walls, roof decking and as subfloors. The pliable wood can also be used in making furniture. One huge advantage you gain is the consistency of the timber due to the high-pressure bonding of the wood chips and resin. This property means you do have to worry about knots in the sheets. Theos Timber Ltd is the right partner when you need OSB board because we stock only the best. Our sheets are rated to ensure that they meet the required standards. They come in different grades and thicknesses so you can pick what works. The OSB may not have a continuous grain similar to that of wood, but it can be polished to give a beautiful surface, especially when using it in the exterior of the home. If you want a cheaper alternative to plywood for construction, OSB is worth a try. The quality material guarantees excellent construction, and we have it in various size options. Contact us for details about our OSB sheets and how they can suit your structural requirements. Oriented Strand Board, or OSB Board as it is often known, is a form of engineered wood which can be recognised by the characteristic wood strands which are visible on the board’s surface. Since its invention in 1963, OSB has gained in popularity, overtaking plywood to the point that it now commands 66% of the market share in structural panels. The board has a wide range of uses, the most common being furniture production, roof decking, sheathing in walls and flooring. OSB is made from layers of shredded wood strips that are compressed and firmly bonded together using a mixture of moisture resistant resin adhesives and wax. 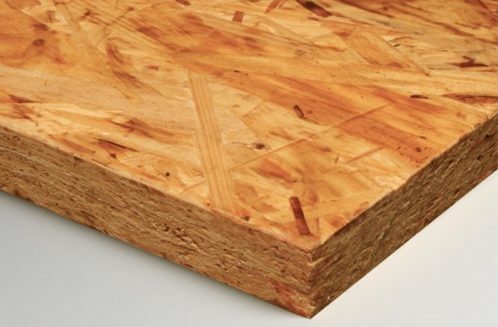 The finished OSB panels have similar properties to plywood, and are equal to plywood in both durability and strength, in fact, building codes recognise both plywood and Oriented Strand Board under the same term of “wood structured panel”. When tested to failure, OSB has also proven to be very strong, outperforming milled wood panels. Like all wood-based panels, there are no special tools required for the cutting and installion processes; it can simply be worked with standard woodworking tools. While Oriented Strand Board and plywood panels are suitable for many of the same uses; there are some differences that you may wish to take into account when choosing the material for your project. OSB board is cheaper than plywood for sale, a fact which has no doubt contributed to its growth in popularity over recent years. Oriented Strand Board is often the favourite choice for projects where budget is a consideration. Plywood is approximately 10% stiffer than OSB and is, therefore, less likely to cause problems such as soft spongy floors, creaking floors and cracking of tiles when used as flooring. OSB panels can be manufactured in a range of thicknesses and strengths, and can also be manufactured in longer length panels (16 foot, and possibly more) than plywood (usually only available up to 10 or 12 foot). This greater size can make OSB a preferable choice for projects where longer or wider panels are required. While Oriented Strand Board is water resistant, it is not waterproof and is less able to breathe and release moisture than plywood. OSB is, however also available in a version for exterior wall applications with a protective layer laminated to one side. 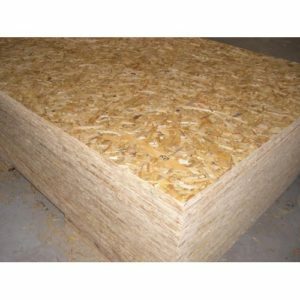 Although this option is more expensive than standard Oriented Strand Board, it provides added durability and performance.